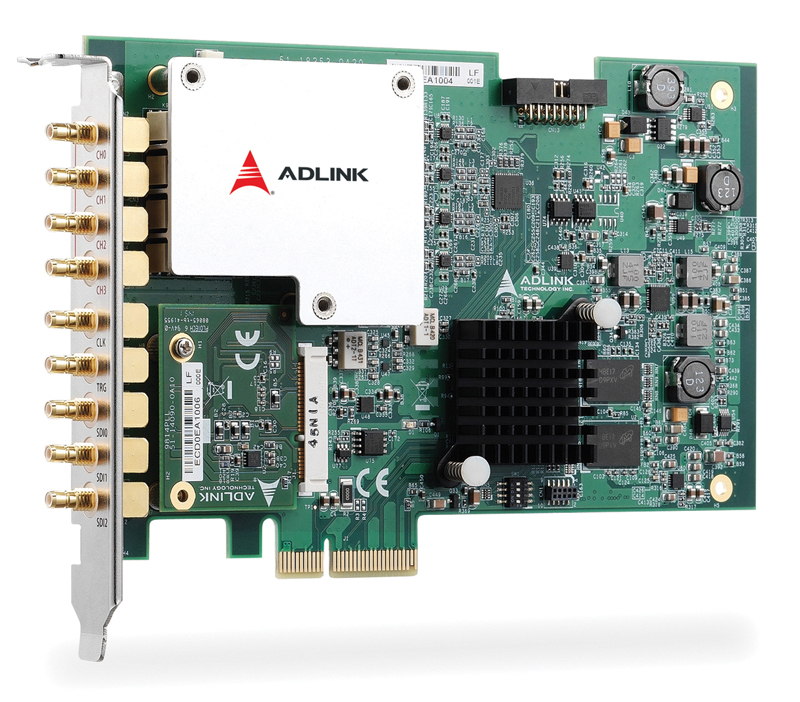 The ADLINK PCIe-9814 is a PCI Express digitizer providing speedy, high quality data acquisition. Each of the four input channels supports up to 80MS/s sampling, with 12-bit resolution A/D converter. This allows simultaneous recording of signals on all channels with no inter channel phase delay. The extremely large on-board memory enables long recording times even at the highest sampling rates. Unlike parallel PCI buses, PCI Express slots utilize serial point-to-point connection. Each connection pair (lane) can achieve burst connection speeds of 250MB/s. The PCIe-9814, based on x4 lane slot PCI Express technology, provides a clear advantage in that direct connection of each slot allows full transfer bandwidth for each individual card. 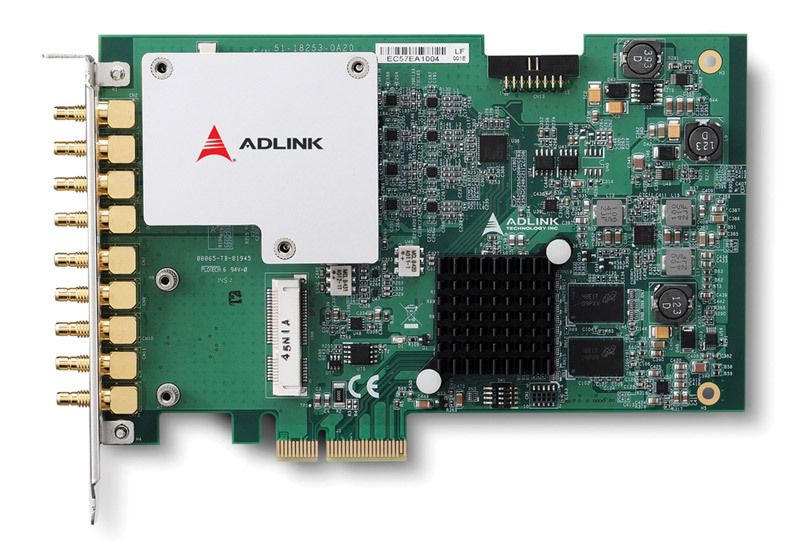 The ADLINK PCIe-9814 x4 digitizer can be used in any standard PCI Express slot, x4, x8, or x16.